Wittenberg University’s sororities are teaming up to support a new philanthropy, the Circle of Sisterhood, supporting girl education across the globe. On Nov. 9, members from various Wittenberg sororities supporting this new philanthropy passed out flyers outside the Central Dining Room during the dinner hour. They also passed out buttons to raise awareness for the new philanthropy that they soon wish to start fundraising for. Stacy Aiello, ’18, and Sabrina Bahiji, ’17, first encountered this philanthropy at a leadership conference last January. The philanthropy stuck with them, so they decided it would be a good idea to bring this philanthropy back to the Wittenberg community. The Circle of Sisterhood has been around since 2010. Since then, the philanthropy has supported girl education in 21 different countries and four continents, from Afghanistan to Uganda. Across the United States, there are 193 different campus sorority communities actively engaged in the sisterhood. One of the sisterhood’s proudest accomplishments, however, is the completion of five schools in Senegal and Nicaragua. These schools enable the proper education of girls through individual attention and care. Although there are no campus events planned of as yet, Wittenberg’s Circle of Sisterhood hope to plan a fundraising event in the upcoming semester. The Circle of Sisterhood is still in its planning stages here at Wittenberg, but Wittenberg’s sororities are hopeful that they will be able to support the Circle’s mission statement and provide funding for girl education across the globe. 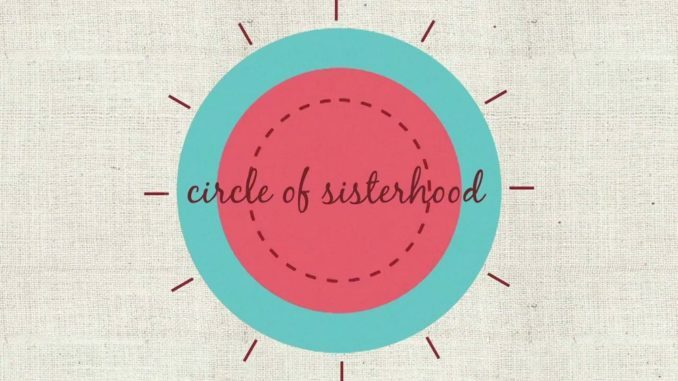 For further information, you can check out the Circle of Sisterhood on Pinterest, Twitter, Facebook, YouTube and Instagram. Students can also log onto www.circleofsisterhood.org/take-action to get involved with the organization. Jingle Bells, Jingle – Shhhh!